An interesting product are the Flare Lashes in this beautiful decorative box in 3 different lengths. The nice can contains 300 pieces, 100 pcs. of each lengths: 8, 10 + 12 mm or 7, 9 + 11 mm. 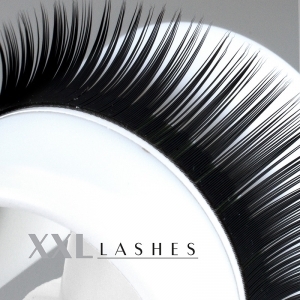 They are beautiful and designed to look exactly like human lashes. They are soft, light-weight, bend-resistant, flexible and curled at one side. Because auf their different lengths in the bundle they give a natural look. The final look is fuller. 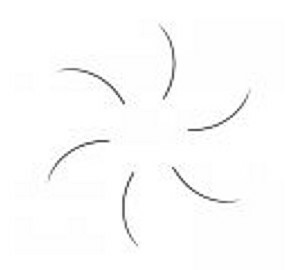 With only 12—16 Push-up Lashes per lid a more expressively beautiful eyelash wreath is generated. Once you have had this gorgeous looking lashes, you will never want the single-by-single method again. It is no longer necessary to tape the lower lid, because the treatment can/should be done with half open eyes. This procedure is much more pleasant for the client. The customer necessarily must not lay down for the treatment; the application can be done very comfortably in sitting. While the single-by-single eyelash application method lasts up to 2 hours per client, the application of Push-up Lashes can be done in 20—30 minutes only. 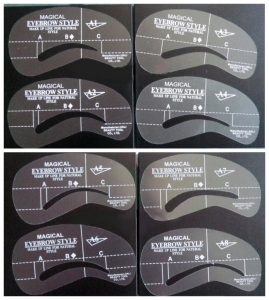 This is enormously economic and timesaving for the client, as well as for the Eyelash Professional. The same time that was needed before for one single client can now be used for 3 treatments. As an Eyelash Professional you can offer this method far cheaper, than the single eyelash application method. So you can extend your target group and generate more turnovers. A beautiful side-effect for me was that I can now extend also my own eyelashes, because the application is much easier. Clean the clients’ eyelid and lashes in a safe and effective way from makeup. Use only oil free eye make up remover in order to optimize the durability of the glue. 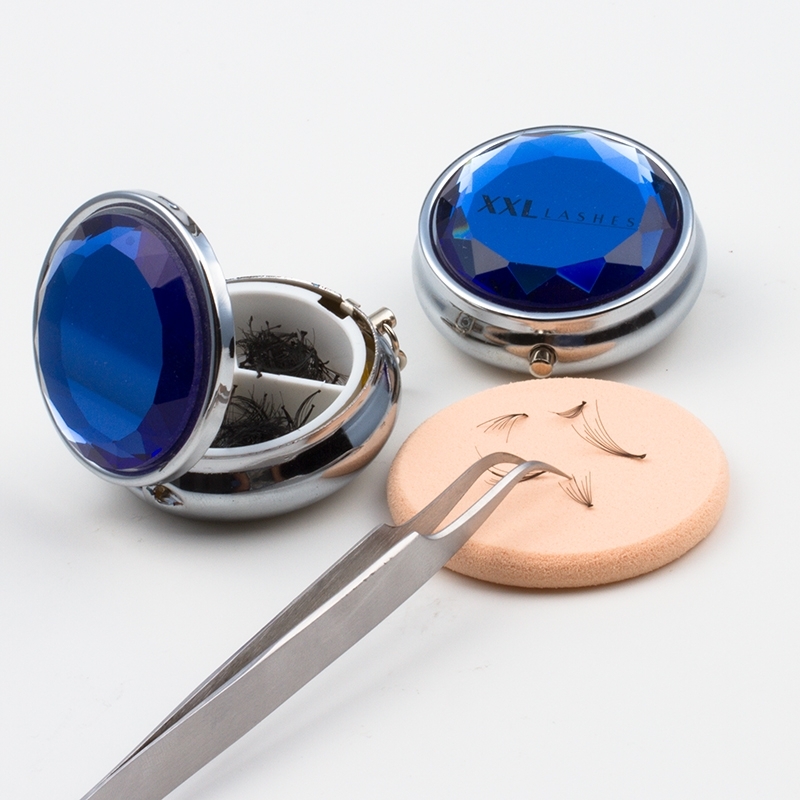 Apply a drop of waterproof special Lashes Adhesive on a glass tray or jade stone. Now prepare some Push-up Lashes in all 3 sizes on a white tissue in front of you and some small wooden Pallilos. You now work from the left to the right for right-handers - or vice-versa for left-handers. Pick up a bundle of Push-up Lashes with a curved tweezers, dab the end approximately 1 mm deep into the glue and then apply it on the natural eyelash. Now stick an eyelash bundle one after the other on the natural eyelashes, as densely as possible at the lid edge, but take care not to touch the lid, which might irritate the skin. After each application you press/ squash the eyelash bundle with two against each other pressed wooden Pallilos, one below and the other above the eyelashes, slightly like a tweezers, while the wood absorbs the superfluous glue. The distance between the Push-up Lashes should be as close as possible. Use shorter lengths 6,7 or 8 mm at the inner side of the lid and 9 to 12 or more mm at the outside of the lid.